NCNS members gather traditionally on the last Tuesday of every month. Those meetings provide all members with the opportunities to meet each other, and exchange their experience and ideas through presentations, discussions and workshops. 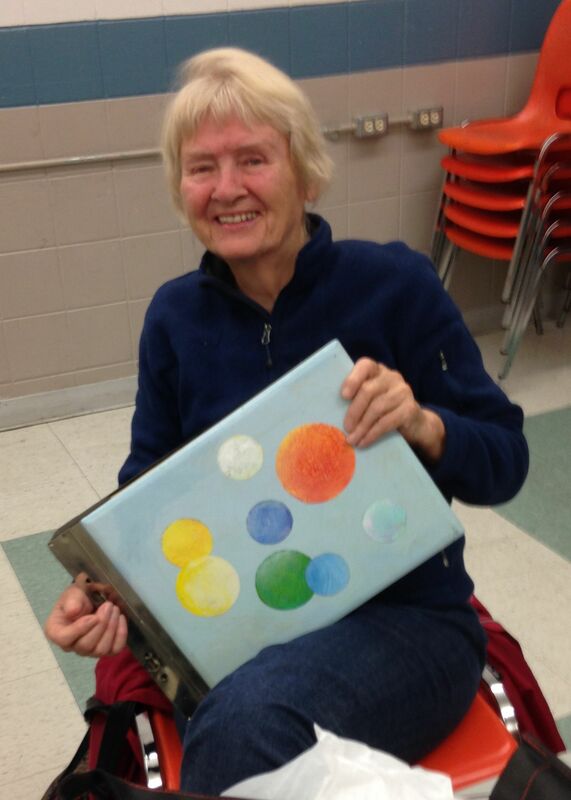 Last month NCNS members talked about their work related to the theme “How does music inspire your art? “. Here are some interesting stories told by the NCNS members. 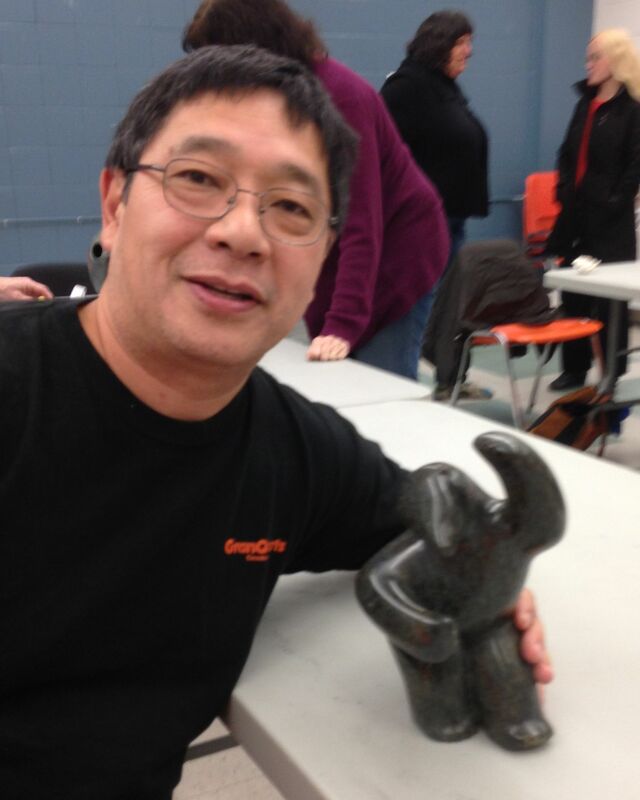 Patrick Imai revealed that the sculpture “Dancing bear” has been inspired by Jungle Book by Rudyard Kipling. 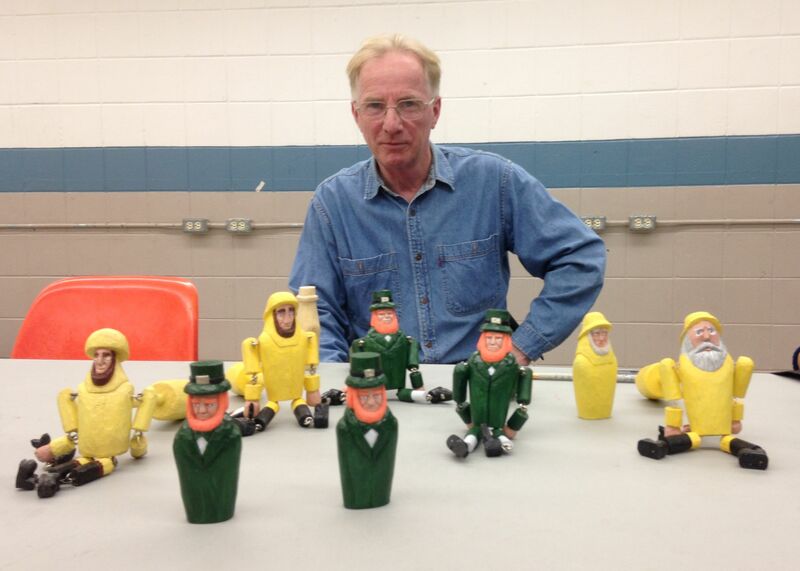 Kevin Burke brought a group of dancing toy wooden figures, leprechaun and fisherman. 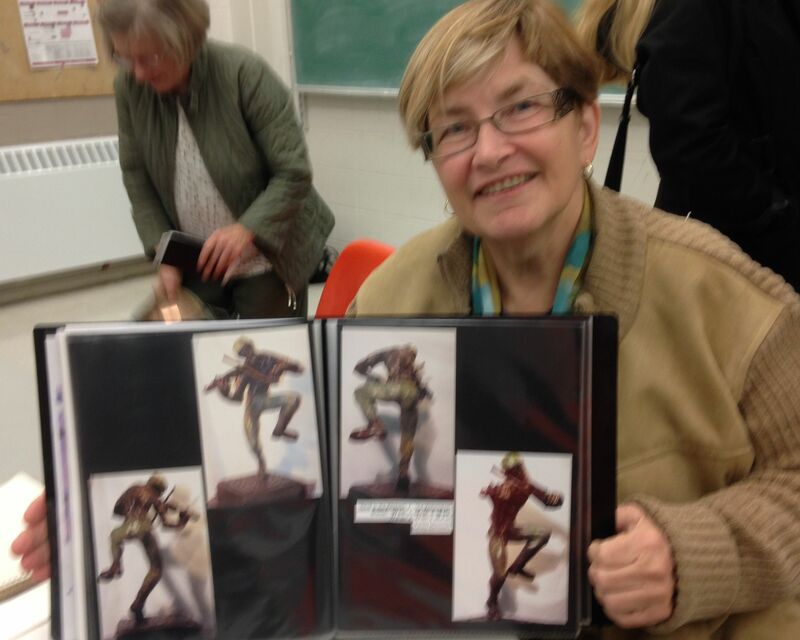 Edna Lemyre brought a musical photo album from Salvation Army that she would like to adapt to a sculptural piece. Rocky Bivens is a sculptor and a musician, who can play on his artwork. 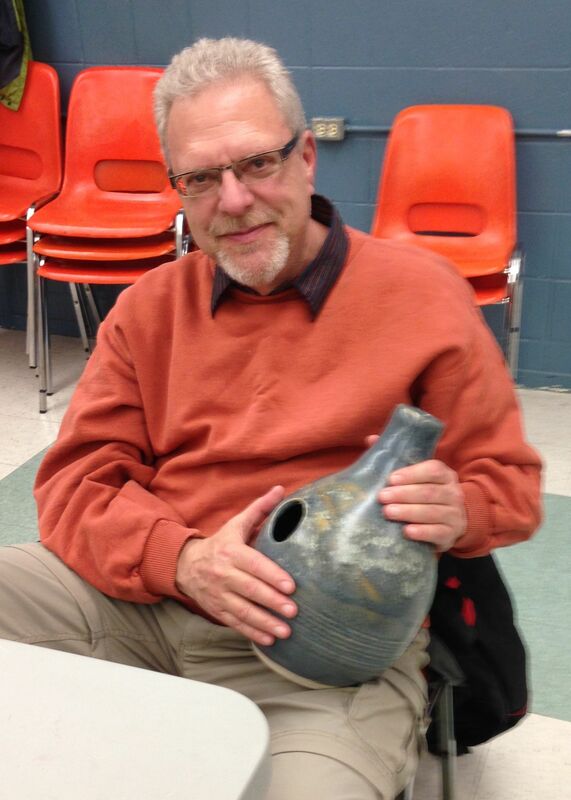 He had performs on his ceramic Udu drum. Denisa Prochazka needs music to sculpt. She sang in opera as a child but when she immigrated to Canada, it was easier for her to sculpt than sing in a new language. She would like to have a solo show where music would expresses the theme of her pieces. 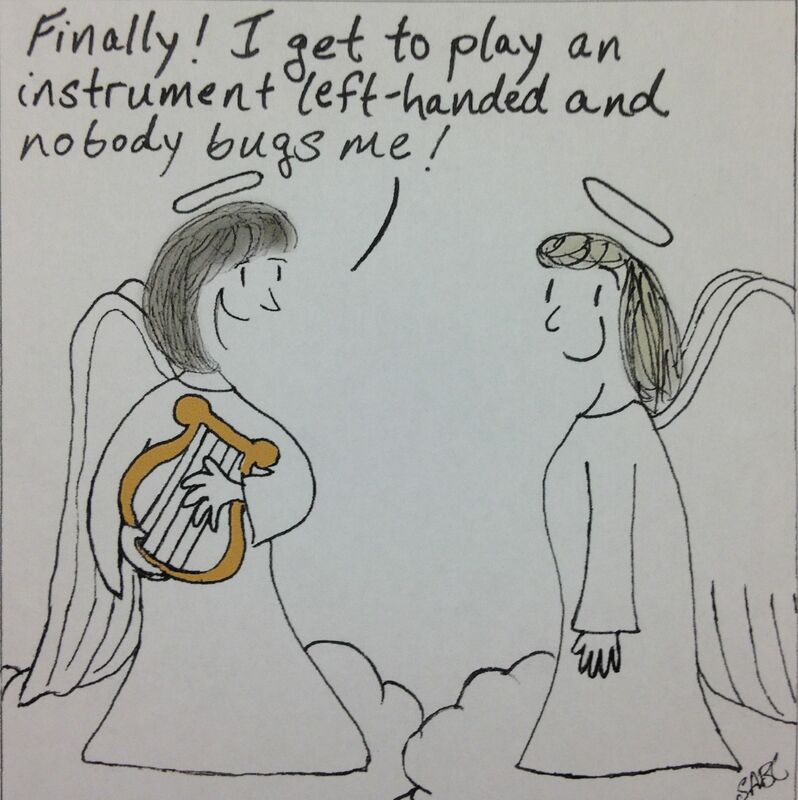 Sheree Bradford-Lee drew a cartoon that played with the idea of problem of the left-handed musicians. 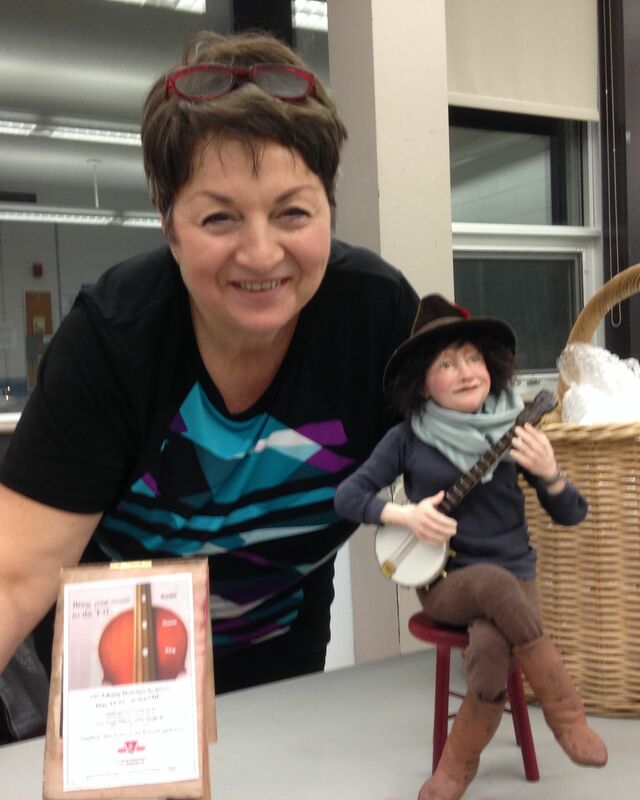 Maria Saracino brought a piece that she built of a busker auditioning by playing a banjo. 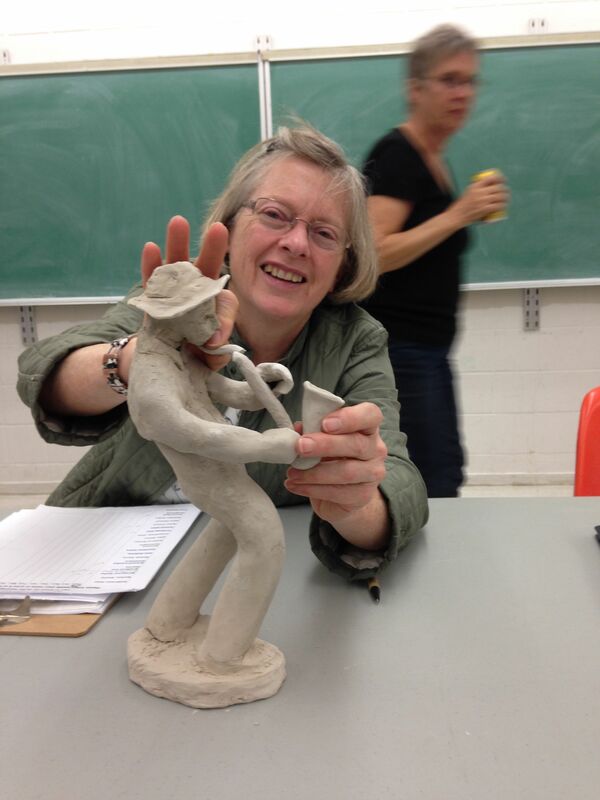 Sandra Marshall brought a maquette of a saxophonist, recalling the music of old record by Fausto Papetti. Rosemary Breault-Landry came from a musical family and studied piano from 8 years. She brought drawings of Spanish dancer and cello player. This entry was posted in Member Event, Miscellaneous and tagged Denisa Prochazka, Edna Lemyre, Kevin Burke, NCNS, Patrick Imai, Rocky Bivens, Rosemary Breault-Landry, Sandra Marshall, Sheree Bradford-Lea. Bookmark the permalink.